CLACIS is a leading competition law advisory, which focuses on matters regarding competition law in Ukraine, Russia and Kazakhstan. 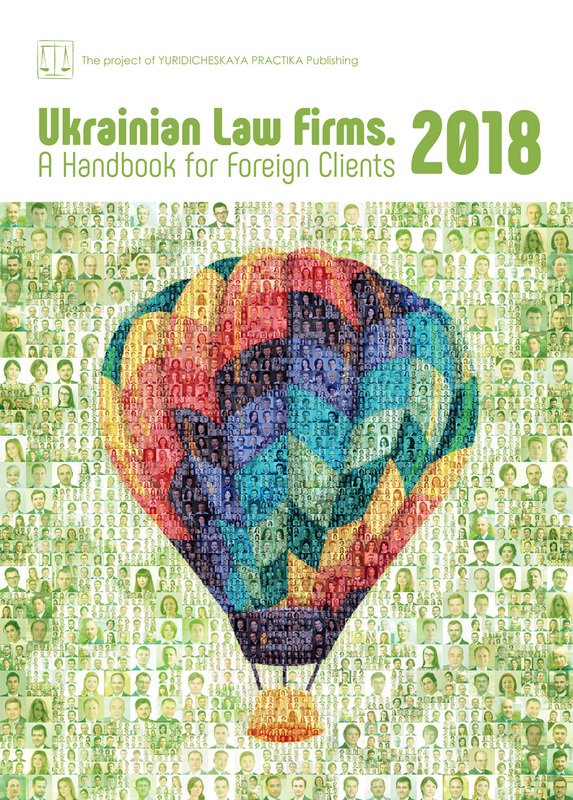 Both founding partner Antonina Yaholnyk and CLACIS have been highly recognized by such international and local legal directories like Chambers Europe, Legal 500 EMEA, Best Lawyers and ULF. What is a Fair Price from an Antitrust Perspective? Prices and pricing are one of the key issues for competition law practice. Pricing is the key to almost all aspects of competition law, be it monopoly abuse or a cartel agreement, it is the price of a product or service that is generally under the spotlight. As it is a rather broad subject, this article focuses on a number of pricing concepts that are used in monopoly abuse cases. A dominant undertaking that employs predatory, excessive or discriminatory pricing practices is not always in breach of competition law. But the law is, unfortunately, yet to offer clear criteria or thresholds that could be used to determine when a price becomes unfair. Competition authorities have, therefore, to rely on existing practice and the facts of a given case to decide whether or not a price is fair. The European Union has already developed certain approaches to determine whether a monopolist’s predatory, excessive or discriminatory pricing measures are in breach of competition law. Competition authorities tend to start their investigations into predatory pricing when the following conditions are met: an undertaking has a dominant position on the market and the price it sets for its product is below (i) the amount necessary for the manufacture, normal sales and earning a profit and (ii) the competitive market price.However, the question that still needs to be answered is: geographically, should it be a market of a given country, or could one make a comparison with external markets where a similar product is sold or where the monopolist itself sells such products? If we are talking about an external market, we need to make sure that the competition conditions and the structure of the market are similar, which is quite a challenge. It is, therefore, recommended that the comparison is made within the same jurisdiction where the market undertakings operate in a more or less solid environment. Then, the price dynamics are assessed.If the monopolist takes a number of steps to set a lower price and its production and sales costs remain unchanged, and there are no significant changes in its set of customers or suppliers, and there is no or little difference in tariffs or taxes, then there is every reason to believe that predatory pricing is involved. Consideration should be given to the market environment in general and whether such steps were taken wilfully to eliminate competitors. As regards the last point, it should be noted that even those steps that unintentionally amounted to a restriction of competition would, in accordance with Ukrainian antitrust law, constitute abuse, although they should be at least qualified as mitigating circumstances. In the EU, predatory pricing is identified like this. In AKZO Chemie BV vs Commission of the European Communities, the European Court of Justice (ECJ) did indeed sanction two major methods of finding violations of the EU’s competition law involving predatory pricing.Before dealing with the price, it is necessary to figure out whether the undertaking in question was a monopolist from the outset. First, prices below average variable costs are to be considered abusive, as the only goal of such pricing policy is to eliminate a competitor, given that each item produced and sold entails a loss for the undertaking. Second, prices below average total costs but above average variable costs are only to be considered abusive if an intention to eliminate competitors can be shown. It is difficult to show such an intention, but it was possible in Tetra Pak II vs Commission of the European Communities due to such factors as the period and volumes of sales of products at predatory prices and the accounts reflecting the undertaking’s imports of certain products with the sole intention of their subsequent sale at predatory prices, incurring an evident loss. The prices for such products were from 20% to up to 50% lower compared to prices for products of the same product category on the other geographical markets. It should be noted that where industries with high fixed and low variable costs are involved, prices covering variable costs but not covering incremental costs for a given period of time may be regarded as abusive from the perspective of competition law.The Commission made a similar decision in UPS vs Deutsche Post AG, where the prices for the undertaking’s services did not cover its incremental costs over the five-year period. In view of the above, an intention to eliminate competitors on a market is the major factor influencing the assessment of predatory prices. An undertaking accused of predatory pricing may refute relevant accusations by presenting evidence showing that it still has competitors on the market, or that such competitors have a barrier-free access to the market; or that such predatory pricing is purported to dispose of obsolete or perishable products and the undertaking is shifting to the manufacture of new, improved products; or that the predatory pricing is due to preliminary capital investments in production activities, having strategic influence over variable production costs. Similarly to predatory pricing, competition authorities tend to start their investigations into excessive pricing when the following conditions are met: an undertaking has a dominant position on the market and the price it sets for its product exceeds (i) the amount necessary for the manufacture, normal sales and earning profit and (ii) the competitive market price.The question still to be answered is this: geographically, should it be a market of a given country, or could one make a comparison with external markets where a similar product is sold or where the monopolist itself sells such product? The Antimonopoly Committee launched an inquiry into an abuse of monopoly in Ukraine by a global business whose Ukrainian selling prices were higher than those it charged in some other countries, but, incidentally, lower than in other countries. The markets compared had entirely different structures, tariffs, and other features affecting the price. On the one hand, that was done to contribute to a good cause — to make Ukrainian prices lower with reference to external market prices. On the other hand, how can one compare the Ukrainian market with the EU or Middle East market? Then, the price dynamics are assessed as part of the analysis. If the monopolist takes a number of steps to set higher prices and its production and sales costs remain unchanged, and there are no significant changes in its set of customers or suppliers, and there is no or little difference in tariffs or taxes, then there is every reason to believe that excessive pricing is involved. A consideration should be given to the market environment in general and whether such steps were taken wilfully to eliminate competitors. In short, the issue is the same as in the case of predatory pricing. The key method used to find violations of monopoly law in the form of excessive pricing in the EUis described in United Brands vs Commission of the European Communities. The European Court of Justice determined that in order to find an abuse of monopoly in relation to excessive pricing it is necessary to show that the dominant undertaking is getting advantages it would never obtain under effective competition. The ECJ developed an approach providing for running a two-step test: first, it is necessary to determine to what extent the price is unreasonably high, i.e. to compare the economic value of a product and its sale price, and to then decide whether such price is unfair as such, or when compared to prices for competing products. In addition, the ECJ noted that there are other approaches that can be used to identify an abuse in relation to excessive pricing, given that it is not always so that the facts of a case allow for calculations to be made in the difference between the economic value of a product and the price at which the product is being sold. Indeed, excessive pricing cases in both the EU and UK show that it seems impossible to specify a particular amount the exceeding of which will be considered an abuse of monopoly because the determination of excess is not an exact science, but a result of the effect of multiple factors that vary from one situation to another. Under EU case law, excessive pricing claims may be brought where an excess of average profit margin over average cost ranges from 30 to 300%. The reality of our market is that the level and justification of expenditure should also be considered in addition to the indicator mentioned herein. It is true, however, that, unlike other markets, such expenditure is sometimes objective solely for our market (tariffs, transport, administrative expenses, etc.). A reminder that, under EU case law, any product or service covered by intellectual property rights cannot, in principle, be subject to a competition inquiry into excessive pricing allegations(Fletcher & Jardine, 2007). When it comes to discriminatory prices,EU practice shows that any discriminatory pricing approach that places consumers at a competitive disadvantage is an abuse of monopoly. Discriminatory prices violate competition law if they are set by a dominant undertaking and adversely affect competition in the market, placing certain market players in a position that is more advantageous than that of others. These include discounts (selective, loyalty and other discounts), package prices, selective price reductions, discriminatory protectionist pricing policies, discriminatory prices for vertically-integrated undertakings, and geographic price discrimination. Ukraine has not yet developed any specific approach to price assessment. The unfairness criterion established by Ukrainian legislation in respect of excessive or predatory pricing can be found in Article 13 of the Law On the Protection of Economic Competition. It states that a business entity abuses its monopoly position where its pricing practice would be impossible if the competition on the market was strong. The unfairness test has not been developed any further. The Antimonopoly Committee of Ukraine has, therefore, to assess the fairness of prices based on the facts and specifics of a particular case. But if you keep track of the Antimonopoly Committee’s practice and the practices employed to appeal against its decisions in court, it can be concluded that Ukraine has adopted the EU’s primary assessment approach towards excessive prices where the connection between the selling price of a product or service and its economic value is of essence. In Avista LLC, for example,the High Commercial Court of Ukraine agreed with the Antimonopoly Committee’s local office that the undertaking was abusing its monopoly position because the prices it charged for its services were excessive in relation to economically justified costs associated with providing them. It is notable that markets with state-regulated pricing can see a stricter approach taken against monopoly abuse in excessive pricing cases. In Ternopilkhlib, for example, the High Commercial Court of Ukraine agreed with the Antimonopoly Committee’s local office that raising prices for social bread and bakery products by more than 5% above those of competitors was abuse of monopoly. With regard to discriminatory pricing, there is an interesting case of Shared Cable Television Reception Networks LLC. The Antimonopoly Committee decided to fine this manufacturing and trading firm for an abuse of monopoly as it charged different prices for equivalent consumer contracts without objective justification and employed a pricing practice that would be impossible if the competition on the market were strong. An appeal against the Antimonopoly Committee’s decision ultimately reached the Supreme Court of Ukraine. The Supreme Court ruled that the undertaking was not abusing its market position, given that, first of all, lower prices for pensioners and disabled persons were obviously not violating consumer rights, and, second of all, higher tariffs for subscribers delaying payment of the operator’s fees were not discriminatory either because the operator notified its subscribers that they were entitled to a lower tariff if the bills were paid on time. The Supreme Court further noted that the Antimonopoly Committee’s local office had not made a quality comparison between the services of the undertaking and those of other operators and its findings about the high level of cable television prices were, therefore, not based on a substantial analysis of all the facts of the case, nor could they be considered reasonable. In other words, the Antimonopoly Committee has to compare not only prices, but also the quality of competing products or services on the market to make any findings about pricing levels.